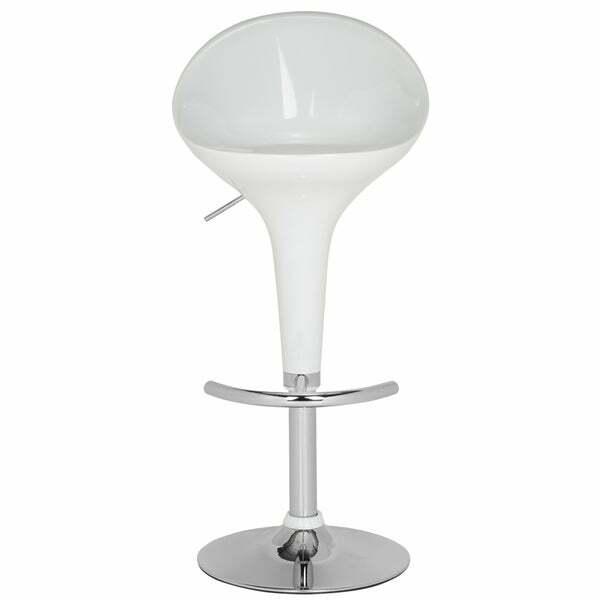 Safavieh Zorab White Adjustable 24-32-inch Bar Stool - 17.9" x 17.3" x 31.9"
Inspired by the trumpet shape of the calla lily, the Zorab Gas LiftBarstool brings a new spin to any room in need of a pop of fresh,fun style. The curved back of its sturdy white ABS swivel seatcontrast its sleek chrome steel base and footrest. Dimensions 31.9-40.2 in. H. x 17.9 in. W. x 17.3 in D.
"What is the weight of the base?" "What is the weight capacity"
Hello anitac447, Overstock does not weight test Items; however this type of chair typically holds 150 to 235 pounds. Thank you for shopping Overstock.com; have a great day! Safavieh Yatim White Adjustable 24-32-inch Bar Stool - 17.3" x 15.6" x 27.6"
Safavieh Arissa White Adjustable 24-30-inch Swivel Bar Stool - 15.4" x 18.5" x 34.7"